Winter in Wisconsin can be brutal in many ways, but the hands take a big brunt of the abuse. This is because the dry air and extreme cold dry out the skin of the hands and inflame the small joints of the wrist, hand and fingers (29 joints in all). The body knows it’s not good/normal for fingers to go numb and ache with cold several times a day and it sets up a cascade of discomfort. 1. 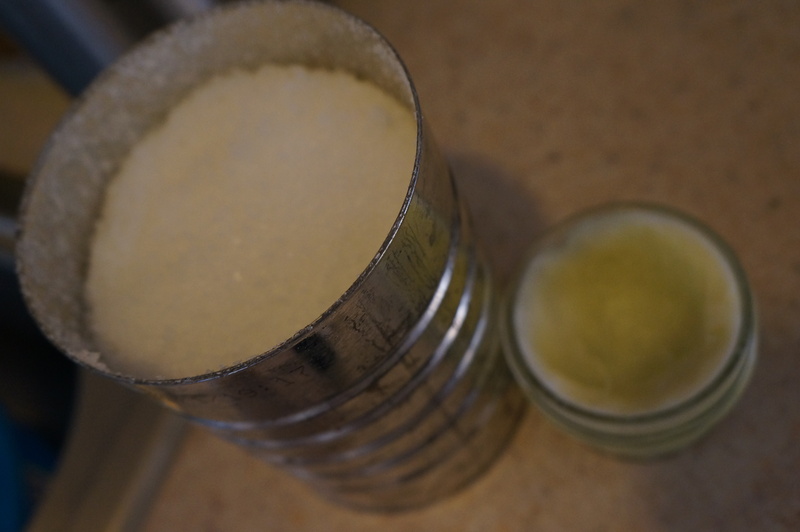 Pour about 2 Tablespoons Epsom salt mix into a pan of very warm water. My current mix includes anti-inflammatory essential oils of turmeric, black pepper, and lavender. I half-fill a coffee can with Epsom salts and drip in the oils (10-20 drops each) then fill with salts, close and shake it up. 2. Soak both hands together for about a minute, then one at a time for about another minute each to extend all the digits in the warmth and get the joints loosened up. 3. 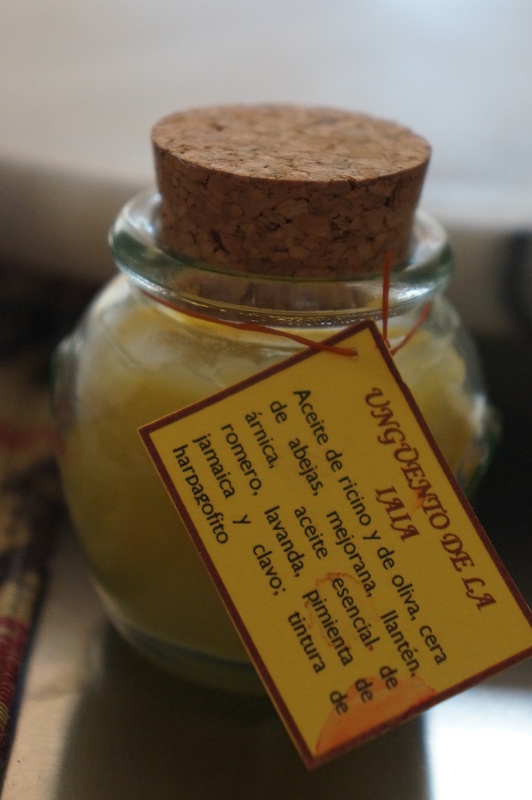 Slather with my homemade body butter or with the homemade, “Unguento de la Iaia” I picked up in Spain last month. This balm is designed for sore joints and the name means, “Granny’s Salve.” I love this stuff and a future post will definitely be about my adventure trying to reproduce it. The young gal who made it told me it was, indeed, an old family recipe and that’s got to be good!